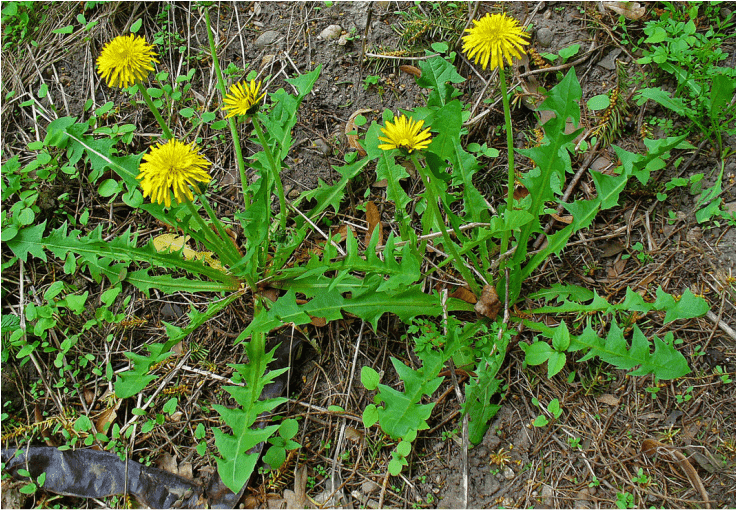 It has been wrongly stated in some publications that the medicinal herb known as Dandelion and whose latin name is Taraxacum officinale is also implicated in the onset of stringhalt. This is absolutely incorrect. One very important difference is that the True Dandelion rarely grows in big paddocks, as does the False Dandelion. The true Dandelion is a plant that does not do well without plenty of water and protection from hot conditions so tends to grow in the garden, around buildings, fences, yards, small paddocks, and in the lawn.It is one of the most valuable herbs for man and horse and all parts of it including the roots are well liked by horses. Dandelion is a liver tonic and cleanser, improves the metabolism, balances digestion and is also tonic for kidneys, spleen and bladder.The medicinal Dandelion can be distinguished from the false Dandelion, Flatweed, Catsear, quite easily. The medicinal Dandelion has soft, hairless leaves which are often used for salad greens, with a rosette arrangement of leaves which have toothed edges and a spear shaped tip. The yellow daisy like flower is produced on a single stem which turns into a ball of white fluff when it goes to seed which blow away easily in the wind or if disturbed. The plant contains a milky sap in the roots and stems. This sap can used topically in the treatment of warts. The leaves of the false Dandelion are shiny, hairy, slightly succulent and although they grow in a rosette they are always dense and very close to the ground, and the yellow daisy like flowers grow on myriad upright branches whose stems divide. The tip of the leaf is blunt. Smooth flatweed has hairless leaves but can sometimes be mistaken for true Dandelion as they are sometimes a bit softer than the ordinary flatweed. All three species are perennial.